Detoxing is popular right now for a reason; it helps flush harmful elements out of your body as part of a healthier lifestyle. It's cleansing, but a lot of people shy away from it because many popular methods involve harsh diet restrictions. And for many of us, that means hunger and grumpiness. Fortunately, there are ways to reap the benefits of a detox without the pain. Here are ten simple habits that can improve your health, courtesy of Harper's Bazaar. Start every morning by squeezing half a lemon into a glass of room-temperature water (don't make it cold, as this can shock your system). The nutrients in lemons have a lot of benefits including stimulating your liver to flush out toxins. Bonus: immunity boosters and hunger-curbing enzymes. Look for this super product at any supplement store. The powder bonds with toxins in your body and helps flush them out before they harm you. 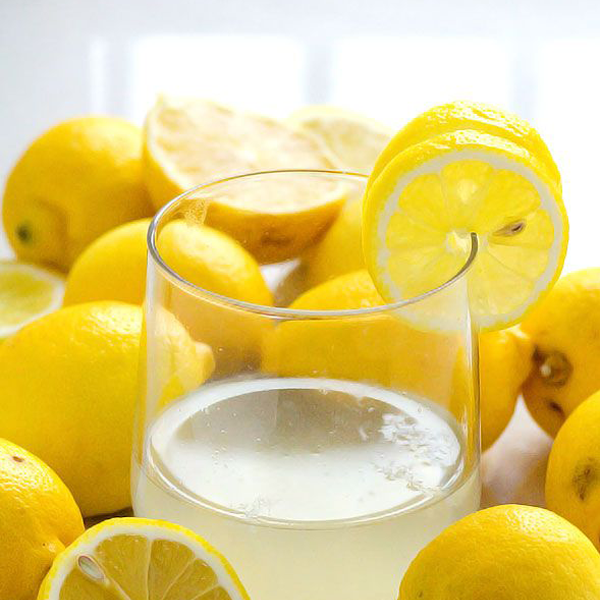 Mix with lemon juice and maple for a tasty, healthy drink. If you have leftover chicken or beef bones, simmer them for up to 24 hours along with carrot, onion, celery, garlic and thyme. The gelatin brings healing and repair to your body's cells. It's no wonder we crave soup when we're sick. Eating a diet full of organic fruits, vegetables, whole grains, nuts, seeds and legumes instead of processed foods will help you naturally detox—as well as avoid a lot of toxins. Speaking of seeds, have you tried fennel? Chew on these to access antioxidants, improve digestion and balance blood sugar. Cultures around the world enjoy fermented food and the health benefits that come with it. Lactobacillus acidophilus is a good bacteria that lines the gut membranes and helps eliminate toxins. Add it in powder form to juice or shakes, or eat yogurt, kombucha, or any other fermented food. Eating all of your food in one sitting and then fasting until your next meal allows your digestive tract to fully process food and then rest and cleanse. It also helps you avoid eating when you're just bored. The health benefits of chocolate are well-documented. Choose dark chocolate with a high cacao percentage around 70 or 80 percent. Loading your food with a variety of spices instead of salt aids in natural cleansing processes and helps you feel satiated sooner. Ginger, cinnamon, cayenne, cumin and turmeric back a powerful punch. This drink is not only comforting, but also can help you sleep better. Plus, it aids in digesting your final meal of the day.